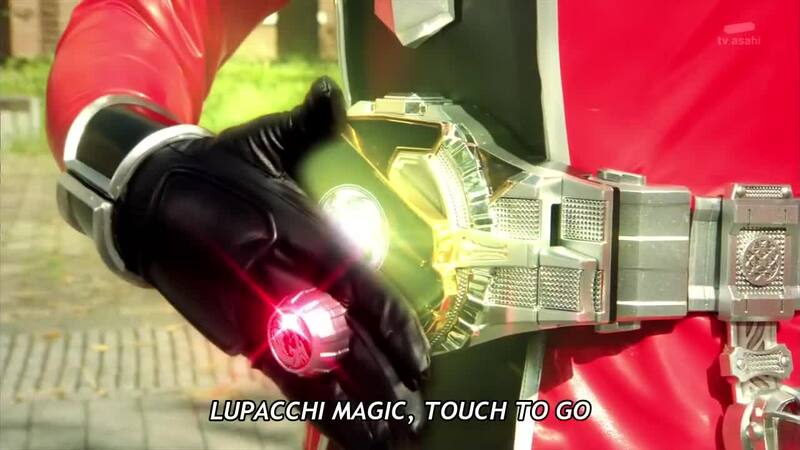 Here's our internet exclusive on the meaning of "lupacchi magic" in the TV Asahi series Kamen Rider Wizard. Recall that the titular wizard is a combination of two archetypes, the stage magician and the occult magus. Hence, "lupacchi" alludes to something that serves both as a stage magician's prop and a magus' animal familiar. The root "lupa" is not the she-wolf you might expect but rather a derivation of the Latin "lepus," meaning a hare. The suffix "-acchi" is from the Italian "-acchio," which gives both a diminutive and instrumental connotation. So "lupacchi magic" literally means "little helpful rabbit magic."